Stay Tuned - Rihanna's Fenty Beauty Holiday Collection Coming Soon! 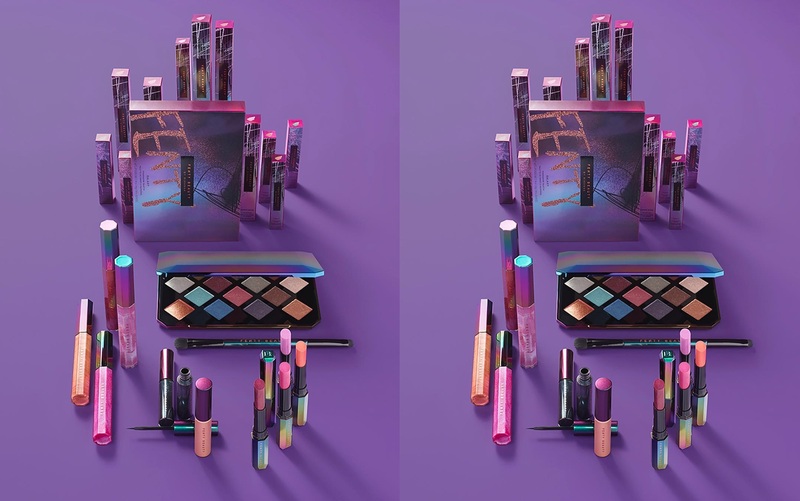 Home Beauty Stay Tuned – Rihanna’s Fenty Beauty Holiday Collection Coming Soon! We’re still reeling from the launch of Rihanna’s Fenty Beauty line just two weeks ago — buzzy is not even a remotely adequate word to describe it. Earth-shattering, maybe? Anyway, beauty influencers and consumers alike have barely had time to get their flat lays and vlogs up and already Rihanna is teasing out more products for us to freak out over: The singer, style icon, designer and beauty entrepreneur announced via Instagram Thursday evening that a Fenty Beauty holiday collection is coming Oct. 13. All we know is that it will be available then at Sephora and involve a lot of color and sparkle — as is typical of holiday makeup collections. Based on the photo, there seem to be an array of lip and eye products, including a very pretty palette of iridescent eyeshadow hues. While Fenty Beauty’s initial drop focused on a remarkably inclusive range of makeup basics — foundation, lip gloss, brushes, blotting papers, primer, contour sticks, mattifying powder, highlighters — this forthcoming launch seems to be all about having fun with color. It does still feel early for gift shopping, but you should probably start saving up now, and thinking about which of your friends/family members are most deserving of that palette; if it’s you, then there’s nothing wrong with that either, of course. We’ve reached out to a rep for Fenty Beauty and will report back with any more information.